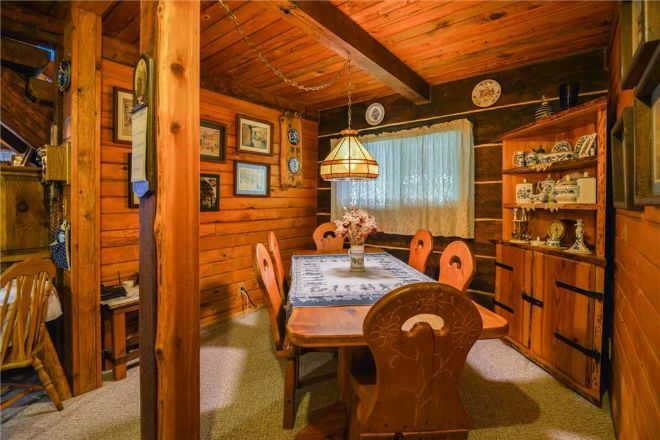 This spacious and lovely wood home is located on Mt. Baker in Washington State and it's the absolute perfect place to retire to, or to simply spend a relaxing weekend enjoying its scenery. It has a generous portion of land, and it sits snugly in the forests of the great mountain, just waiting for you to explore its environs. 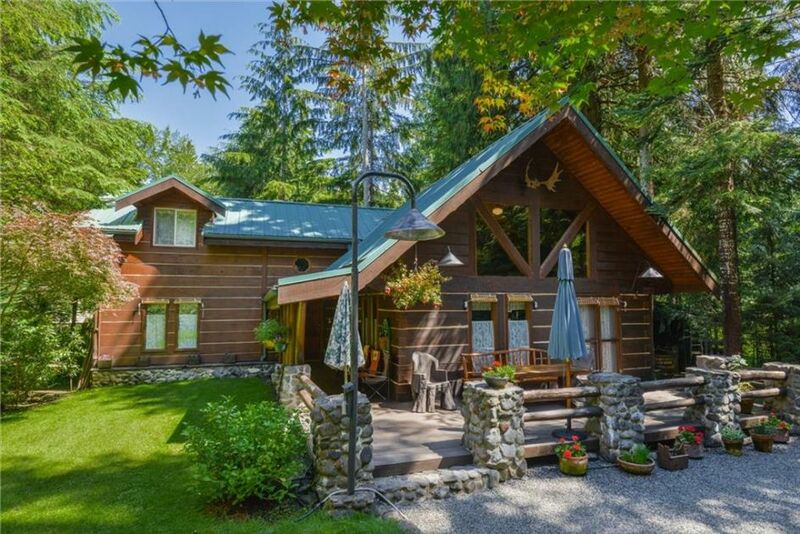 This newly built house, made entirely from hand-hewn cedar and fir, is strong, gorgeously designed and guaranteed to stand up to any kind of mountain weather you'd face on Baker. 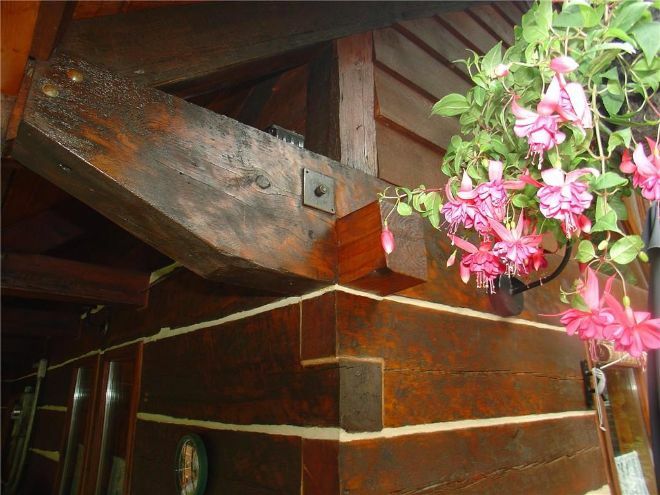 The finish is a deep, earthy brown and fits in nicely with the surrounding landscape. 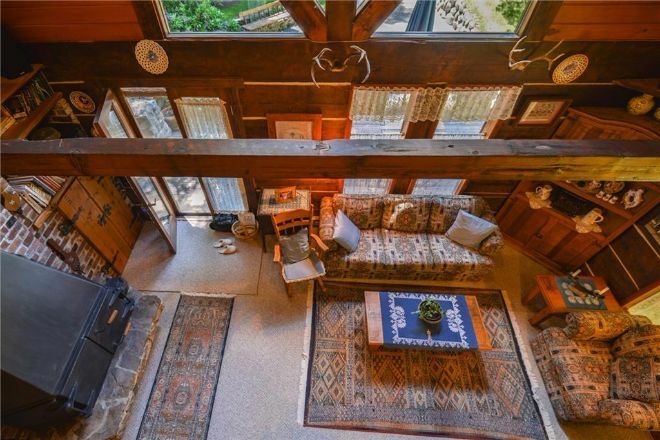 This home is truly a gem in the middle of the wilderness! 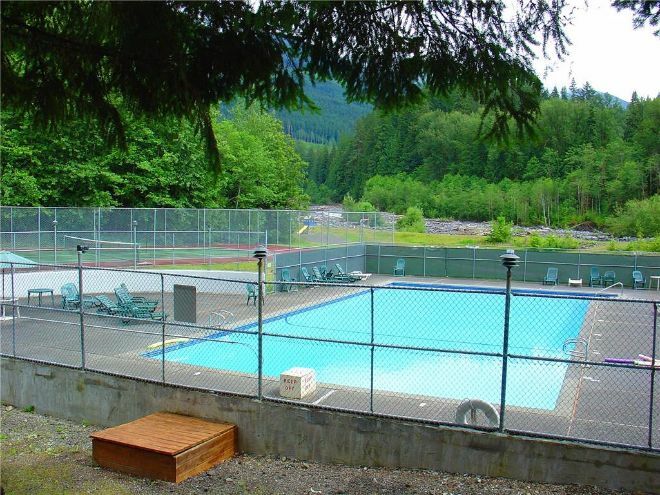 Nearby, the cabin also includes access to brilliant recreational facilities if you ever feel the need for some outdoors fun! Not much like playing tennis on a mountain in the summer! 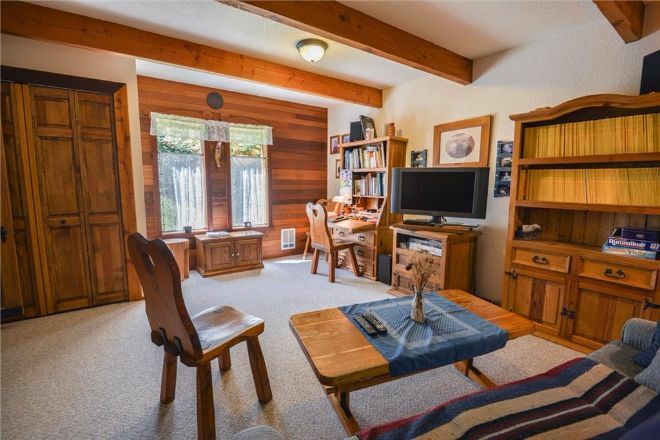 The interior expands upon the wooden beauty of the outside and brings it into this spacious, comfortable living room. 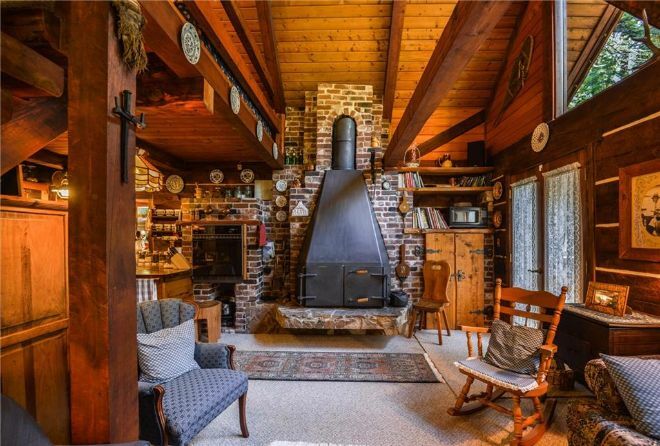 Not to mention that gorgeous wood-burning stove as well! 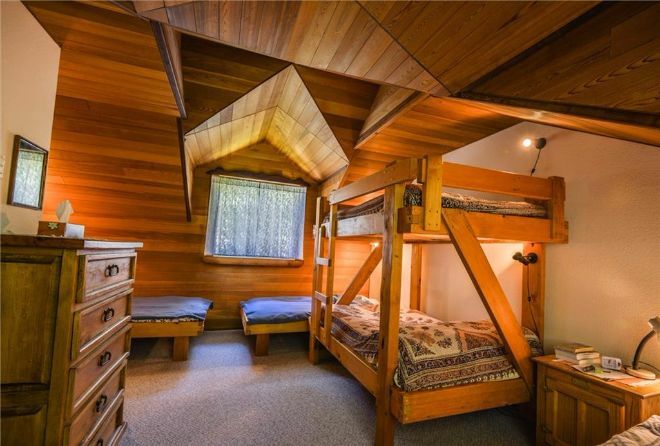 And a vaulted ceiling too, of course! 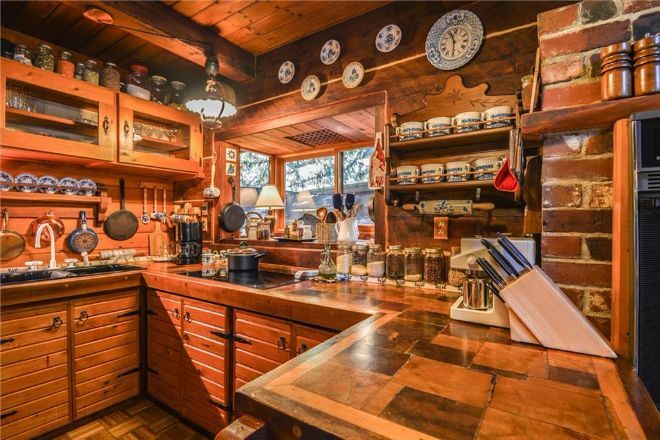 The kitchen is large and ample enough to serve as many people as you're willing to host. The custom cabinetry is perfectly designed and adds to the splendor of this already dazzling space. Moving upstairs, the house further amazes with its 3 full-sized bedrooms; easily giving you enough space for as many guests as you'd like to offer a roof to! Filled, of course, with bright windows that let all of that sunlight in. 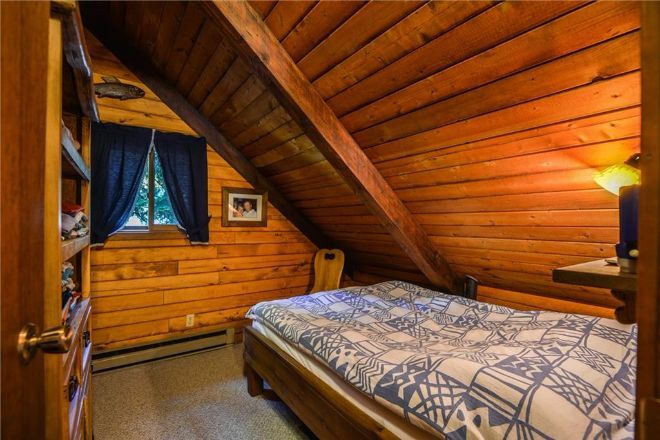 The master bedroom is almost as big as the living room and could easily serve to entertain guests if you wanted to! But of course, this gorgeous master suite wouldn't be complete without your very own bathroom, customized to perfection, with a great Jacuzzi-tub that really completes the design of the space. And finally, what kind of mountain home would be complete without your very own workshop to fix whatever needed fixing? 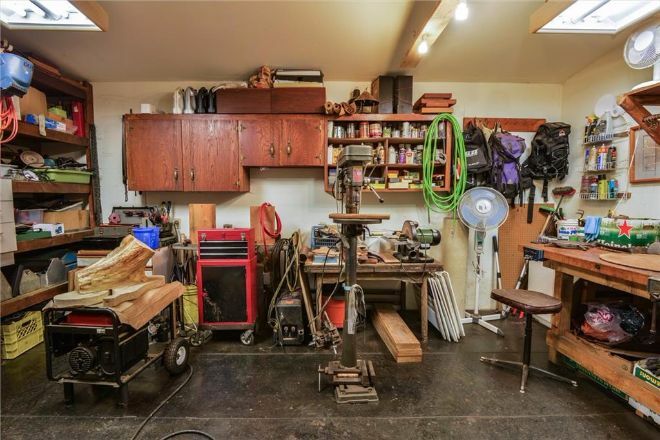 This fully stocked area has all the tools and space you'd ever need to get any tough job finished. It takes a lot of love and care to design and maintain a home as stunning and classic as this one. 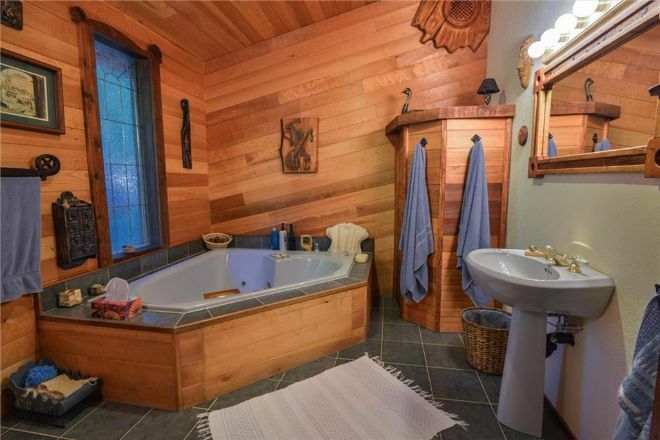 From the authentic wood to the Jacuzzi-tub and the pool in the back, this home truly has everything you'd ever need in a dream home. Can't wait to tell us what you think about this mountain paradise? LIKE and SHARE this post on Facebook and let us know!